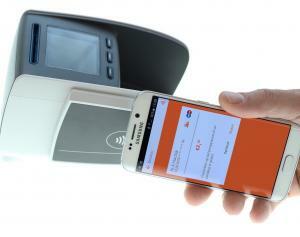 Case Study: ING Bank Customers Opt for No PIN and Very Low-Value Purchases with New HCE App | NFC Times – Near Field Communication and all contactless technology. ING Bank Netherlands found that users of its HCE payments app, launched in late November, prefer to tap for small amounts and not to enter a PIN. NFC Times Exclusive – More than two-thirds of users of the ING Bank’s HCE-based mobile payments service in the Netherlands opt for no PIN entry and prefer to tap their phones for very low-value amounts, according to bank, which launched one of the first HCE mobile payments services in Western Europe in late November. The ING mobile payments service has already attracted a respectable number of users only six weeks after becoming generally available to eligible customers, although the bank will begin charging a small monthly fee for the service after a six-month grace period. (See fact box below). The launch of the HCE service follows a three-month beta test, in which more than 5,000 customers used the mobile payments app. Article has about 2910 words.